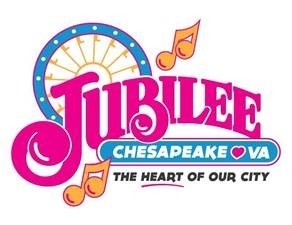 CHESAPEAKE, Va. - The 2017 Chesapeake Jubilee will feature three days filled with live music on the Bagley Stage in Chesapeake City Park. All shows are free with paid admission to Jubilee. On Friday, May 19: Chesapeake&apos;s own Chris Richardson, American Idol&apos;s Season 6 fifth-place finalist, headlines Friday from 9-10 p.m. Richardson has recorded songs and widely toured since his time on American Idol. He also has written and performed on hit songs for other artists, including "What&apos;cha Got 2 Lose" for Blake Lewis and "Geek In The Pink" with Jason Mraz. In 2015 he released two EPs "Press Play" and "Murder She Wrote." He was featured on the international hit single "Bigger Better Faster" with Follow Your Instinct and Busta Rhymes, which reached No. 3 on the Japanese charts. Side Effect opens from 7-8:30 p.m. The five-piece Chesapeake cover band formed in 2011 and has built a sizable local following through energetic and inspired performances. The band&apos;s repertoire exceeds 100 of the most popular hit songs spanning decades and genres. On Saturday, May 20: Blending Country, Southern and Hard Rock into a genre called "Tractor Metal," Backwoods Company headlines Saturday 7:30-9 p.m. The Chesapeake quartet of Ian Foutz (vocals/drums), Scott Minner (vocals/bass), Jeff Hardesty (vocals/guitar) and Mitch Foutz (vocals/guitar) have established a unique sound while honoring all their musical influences. Backwoods Company fans completely agree on closeness and full connection they feel with the band at shows. Jamie Pridgen Band performs from 5:30-7 p.m. He hails from Rocky Mount, NC, where he has been part of that music scene since he was only two years old. His grandfather was a member of the Country Echos Band, one of the top regional acts for decades, and young Pridgen regularly sat in until the band dissolved when he was nine. At 20, Pridgen is carrying forth the tradition of new country music. He has performed locally at the Norva. Richmond native Brittany Marie performs from 3:30-5 p.m. She has combined energy and talent to earn her status as one of the region&apos;s foremost emerging Country Rock artists. She has opened for such national touring acts as Chris Young, The band Perry, Aaron Tippin, Clint Black and others. Her self-titled six-song "Brittany Marie" showcases her wide range of talent, featuring the Rolling Stones song "Paint It Black" as well as her own songs, including her single "Change." Crazy X opens from 1:30-3 p.m. Since 2007, the band has been engaging audiences young and old with a show featuring state-of-the-art sound and fully produced light shows. Crazy X calls its high-energy performance a "Premiere Rockin&apos; Country Show." Fans affectionately call themselves "Stalkers." Sunday, May 21: For the first time, Chesapeake Jubilee is presenting a new musical direction on Sunday, May 21 called "Celebrating Faith and Unity Through Music." Chris Sligh will headline on Sunday from 4:30-6 p.m. He reached 10th Place in the final rounds of American Idol Season 6 in 2007, when USA Today called Sligh "the most musically ambitious Idol to date." He has released ten albums since then, and three Top 30 singles on the national Christian Album charts: "Empty Me" (No. 3), "Arise" (no. 30) and "Only You Can Save" (No. 13). Sligh has performed hundreds of concerts since American Idol, many of which were partnered with Christian music stations around the U.S.
757 Worship Collective performs from 2-4 p.m. A collective of worship, creative and technical leaders in Hampton Roads, 757 Worship Collective collaborates for the purpose of resourcing and encouraging one another as they equip their teams and congregations for the worship of God. Opening the show is Bridge Worship that performs from 12:30-1:30. The church musical team is from Bridge Church in Chesapeake. Sunday: "Celebrating Faith and Unity Through Music"